There are basically two types of court ordered supervision for adults in Florida. One is called “probation” and the other is commonly called “house arrest” or “community control” They are both court ordered alternatives to incarceration in the county jail or prison. Depending on the circumstances, supervision can be by an officer of a county run (or county funded) entity or by the Florida Department of Corrections if the charge began as a felony. If someone successfully completes the term of their supervision with no violations – which means that, while under supervision, they did not get caught doing anything that they were not allowed to do AND they also completed everything that they were supposed to do – then their case is complete and they normally never have to return to court. If, however, they fail to do either, a “violation” can occur and they will end up back in front of the judge and, potentially, be resentenced. Many times, they are then eligible to be sentenced to anything they could have originally gotten and sometimes more. Remain within a specified place or county. Live without violating any law. If you are asked questions by your probation officer and give them information that demonstrates your non-compliance with all the conditions of your probation OR if the probation officer discovers or finds out information that they believe shows that you violated your probation, then you likely may end up with a violation of probation pending. They can arrest you without a warrant or send through a violation affidavit, seek a VOP warrant from the judge and you will have to go back to court for a hearing before the judge – most times the same judge who sentenced you. This is often worse than being sentenced originally, so you should have an experienced attorney defending you. When someone is originally sentenced to probation and it is alleged by their supervising officer that they have failed to follow the rules or adhere to the conditions placed upon them, or if is alleged that they have failed to complete a specific condition of their probation, then that person can have probation "violated." 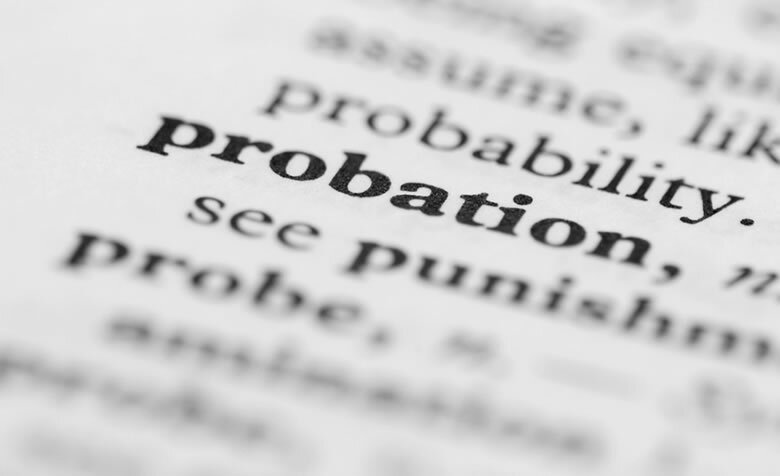 If the probationer is deemed to be in "violation of probation" by their supervising officer, often referred to as a having a "VOP", the probation officer will normally submit an affidavit of violation of probation to the judge who initially imposed the sentence. The Judge will then issue an arrest warrant or sometimes schedule the alleged violator for a court date, however, judges frequently issue a warrant and set a “no bond” status whereby the accused violator must remain in custody for an extended period of time - maybe even until the violation is heard by the court at a "VOP evidentiary Hearing" and/or otherwise resolved. Revocation of probation normally means that you will be adjudicated guilty of the original offense you were given probation for, if this was not done originally, and given the sentence the judge could have imposed originally or sometimes one more harsh. How Can a VOP Attorney Help? If you get a defense attorney for a violation of probation as soon as possible, often times they can speak with your probation officer or the prosecutor, either before or after you are arrested or both. If it is too late and you have already been arrested, then an attorney can normally get you a bond hearing where the judge would consider setting a bond. Unlike most new charges, in a violation scenario, the person is not legally entitled to a bond as they would likely have been originally, but an experienced defense attorney can often make the difference. Having representation during this violation of probation process is critical since an experienced attorney can make the difference and may be able to persuade the judge not issue a warrant or to allow you a bond so that you do not have to remain in jail with no bond pending your hearing. If you have met all the terms of your probation, including payment of fines and completion of any special conditions (like community service, etc. ), you may be eligible to terminate your probation early. Terminating probation early will eliminate all supervision and its conditions, like restrictions on travel and supervision costs. Almost anyone is eligible to request early termination of their probation. If you are placed on probation and you have violated your probation, or you believe you are eligible for an early termination of your probation, call criminal defense Attorney Jack Kaleita today for a free consultation! We are available at (866) 422-7934 or (407) 831-7800. You may also send us an email at jack@jackklaw.com. Our law firm is committed to protecting your rights. We are conveniently located just off Interstate 4, in Longwood, minutes away from downtown Orlando, and easily accessible from every direction. We value your privacy and will keep all information confidential.